Starting Out: Benoni Systems is a study of all the crucial Benoni systems apart from the Modern Benoni. It presents diverse and practical options against the queen's pawn opening for dynamic, tactical players and solid, positional players alike. Included are such daring defences as the controversial Blumenfeld Counter-Gambit and the Benko Gambit, a favourite with uncompromising Grandmasters such as Veselin Topalov and Vassily Ivanchuk. On the other hand, Black also has the opportunity to adopt solid, respectable defences such as the Czech Benoni and the Schmid Benoni. 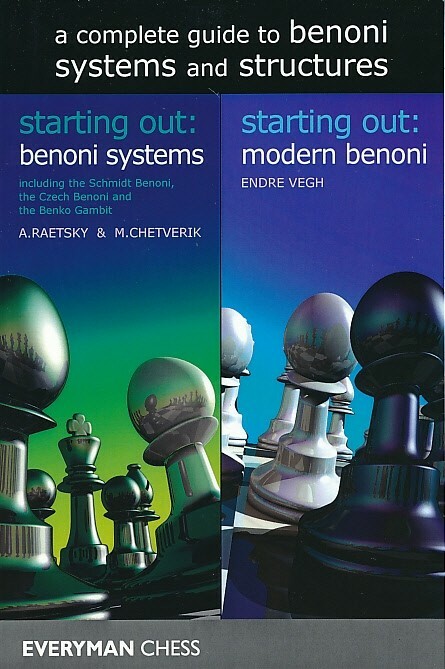 The Modern Benoni is one of Black's most ambitious and audacious defences to the queen's pawn opening, and it has been used with devastating effect by such legends as Mikhail Tal, Bobby Fischer and Garry Kasparov. From the very start Black creates an exceptional imbalance in the position, one which leads to dynamic play and gives Black real chances to seize the initiative. 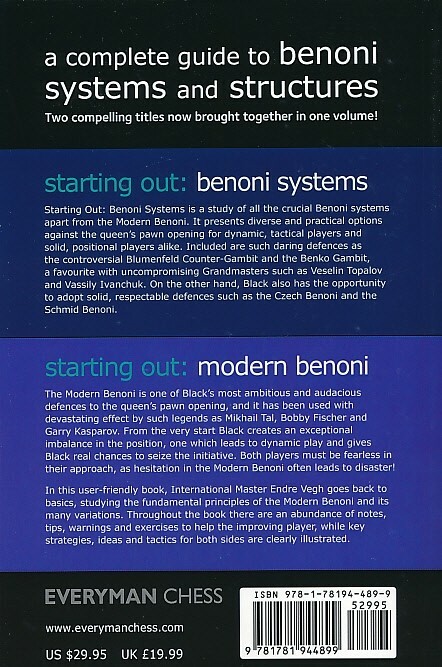 Both players must be fearless in their approach, as hesitation in the Modern Benoni often leads to disaster!